For other uses, see Telepathy (disambiguation). This article is about the paranormal phenomenon. For the magical act, see mentalism. The Ganzfeld experiments that aimed to demonstrate telepathy have been criticized for lack of replication and poor controls. Telepathy (from the Greek τῆλε, tele meaning "distant" and πάθος, pathos or -patheia meaning "feeling, perception, passion, affliction, experience") is the purported vicarious transmission of information from one person to another without using any known human sensory channels or physical interaction. The term was coined in 1882 by the classical scholar Frederic W. H. Myers, a founder of the Society for Psychical Research, and has remained more popular than the earlier expression thought-transference. Telepathy experiments have historically been criticized for lack of proper controls and repeatability. There is no convincing evidence that telepathy exists, and the topic is generally considered by the scientific community to be pseudoscience. According to historians such as Roger Luckhurst and Janet Oppenheim the origin of the concept of telepathy in Western civilization can be tracked to the late 19th century and the formation of the Society for Psychical Research. As the physical sciences made significant advances, scientific concepts were applied to mental phenomena (e.g., animal magnetism), with the hope that this would help to understand paranormal phenomena. The modern concept of telepathy emerged in this context. Psychical researcher Eric Dingwall criticized SPR founding members Frederic W. H. Myers and William F. Barrett for trying to "prove" telepathy rather than objectively analyze whether or not it existed. In the late 19th century, the magician and mentalist, Washington Irving Bishop would perform "thought reading" demonstrations. Bishop claimed no supernatural powers and ascribed his powers to muscular sensitivity (reading thoughts from unconscious bodily cues). Bishop was investigated by a group of scientists including the editor of the British Medical Journal and the psychologist Francis Galton. Bishop performed several feats successfully such as correctly identifying a selected spot on a table and locating a hidden object. During the experiment Bishop required physical contact with a subject who knew the correct answer. He would hold the hand or wrist of the helper. The scientists concluded that Bishop was not a genuine telepath but using a highly trained skill to detect ideomotor movements. Gilbert Murray conducted early telepathy experiments. For nearly thirty years the telepathic experiments conducted by Mr. G. A. Smith and myself have been accepted and cited as the basic evidence of the truth of thought transference... ...the whole of those alleged experiments were bogus, and originated in the honest desire of two youths to show how easily men of scientific mind and training could be deceived when seeking for evidence in support of a theory they were wishful to establish. Between 1916 and 1924, Gilbert Murray conducted 236 experiments into telepathy and reported 36% as successful, however, it was suggested that the results could be explained by hyperaesthesia as he could hear what was being said by the sender. Psychologist Leonard T. Troland had carried out experiments in telepathy at Harvard University which were reported in 1917. The subjects produced below chance expectations. Arthur Conan Doyle and W. T. Stead were duped into believing Julius and Agnes Zancig had genuine psychic powers. Both Doyle and Stead wrote the Zancigs performed telepathy. In 1924, Julius and Agnes Zancig confessed that their mind reading act was a trick and published the secret code and all the details of the trick method they had used under the title of Our Secrets!! in a London newspaper. In 1924, Robert H. Gault of Northwestern University with Gardner Murphy conducted the first American radio test for telepathy. The results were entirely negative. One of their experiments involved the attempted thought transmission of a chosen number, out of 2010 replies none were correct. In February 1927, with the co-operation of the British Broadcasting Corporation (BBC), V. J. Woolley who was at the time the Research Officer for the SPR, arranged a telepathy experiment in which radio listeners were asked to take part. The experiment involved 'agents' thinking about five selected objects in an office at Tavistock Square, whilst listeners on the radio were asked to identify the objects from the BBC studio at Savoy Hill. 24, 659 answers were received. The results revealed no evidence for telepathy. In the first place, an intuitive wife, who knows her husband intimately, may be able to guess with a fair degree of accuracy what he is likely to draw—particularly if the picture is related to some freshly recalled event the two experienced in common. At first, simple pictures like chairs and tables would likely predominate, but as these are exhausted, the field of choice narrows and pictures are more likely to be suggested by recent experiences. It is also possible that Sinclair may have given conversational hints during some of the tests—hints which in his strong will to believe, he would promptly forget about. Also, one must not rule out the possibility that in many tests, made across the width of a room, Mrs. Sinclair may have seen the wiggling of the top of a pencil, or arm movements, which would convey to her unconscious a rough notion of the drawing. 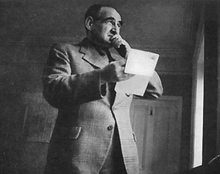 Frederick Marion who was investigated by the Society for Psychical Research in the late 1930-1940s. The Turner-Ownbey long distance telepathy experiment was discovered to contain flaws. May Frances Turner positioned herself in the Duke Parapsychology Laboratory whilst Sara Ownbey claimed to receive transmissions 250 miles away. For the experiment Turner would think of a symbol and write it down whilst Ownbey would write her guesses. The scores were highly successful and both records were supposed to be sent to J. B. Rhine; however, Ownbey sent them to Turner. Critics pointed out this invalidated the results as she could have simply written her own record to agree with the other. When the experiment was repeated and the records were sent to Rhine the scores dropped to average. Another example is the experiment carried out by the author Harold Sherman with the explorer Hubert Wilkins who carried out their own experiment in telepathy for five and a half months starting in October 1937. This took place when Sherman was in New York and Wilkins was in the Arctic. The experiment consisted of Sherman and Wilkins at the end of each day to relax and visualise a mental image or "thought impression" of the events or thoughts they had experienced in the day and then to record those images and thoughts on paper in a diary. The results at the end when comparing Sherman's and Wilkins' diaries were claimed to be more than 60 percent. The full results of the experiments were published in 1942 in a book by Sherman and Wilkins titled Thoughts Through Space. In the book both Sherman and Wilkins had written they believed they had demonstrated that it was possible to send and receive thought impressions from the mind of one person to another. 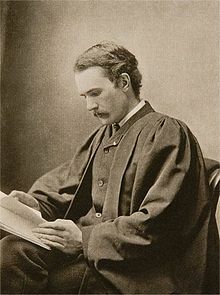 The magician John Booth wrote the experiment was not an example of telepathy as a high percentage of misses had occurred. Booth wrote it was more likely that the "hits" were the result of "coincidence, law of averages, subconscious expectancy, logical inference or a plain lucky guess". A review of their book in the American Journal of Orthopsychiatry cast doubt on their experiment noting "the study was published five years after it was conducted, arouses suspicion on the validity of the conclusions. In 1948, on the BBC radio Maurice Fogel made the claim that he could demonstrate telepathy. This intrigued the journalist Arthur Helliwell who wanted to discover his methods. He found that Fogel's mind reading acts were all based on trickery, he relied on information about members of his audience before the show started. Helliwell exposed Fogel's methods in a newspaper article. Although Fogel managed to fool some people into believing he could perform genuine telepathy, the majority of his audience knew he was a showman. In a series of experiments Samuel Soal and his assistant K. M. Goldney examined 160 subjects over 128,000 trials and obtained no evidence for the existence of telepathy. Soal tested Basil Shackleton and Gloria Stewart between 1941 and 1943 in over five hundred sittings and over twenty thousand guesses. Shackleton scored 2890 compared with a chance expectation of 2308 and Gloria scored 9410 compared with a chance level of 7420. It was later discovered the results had been tampered with. Gretl Albert who was present during many of the experiments said she had witnessed Soal altering the records during the sessions. Betty Marwick discovered Soal had not used the method of random selection of numbers as he had claimed. Marwick showed that there had been manipulation of the score sheets "all the experiments reported by Soal had thereby been discredited." In 1979 the physicists John G. Taylor and Eduardo Balanovski wrote the only scientifically feasible explanation for telepathy could be electromagnetism (EM) involving EM fields. In a series of experiments the EM levels were many orders of magnitude lower than calculated and no paranormal effects were observed. Both Taylor and Balanovski wrote their results were a strong argument against the validity of telepathy. Research in anomalistic psychology has discovered that in some cases telepathy can be explained by a covariation bias. In an experiment (Schienle et al. 1996) 22 believers and 20 skeptics were asked to judge the covariation between transmitted symbols and the corresponding feedback given by a receiver. According to the results the believers overestimated the number of successful transmissions whilst the skeptics made accurate hit judgments. The results from another telepathy experiment involving 48 undergraduate college students (Rudski, 2002) were explained by hindsight and confirmation biases. Within the field of parapsychology, telepathy is considered to be a form of extrasensory perception (ESP) or anomalous cognition in which information is transferred through Psi. It is often categorized similarly to precognition and clairvoyance. Experiments have been used to test for telepathic abilities. Among the most well known are the use of Zener cards and the Ganzfeld experiment. Latent telepathy, formerly known as "deferred telepathy", is described as the transfer of information, through Psi, with an observable time-lag between transmission and reception. Retrocognitive,[not in citation given] precognitive, and intuitive[not in citation given] telepathy is described as being the transfer of information, through Psi, about the past, future or present state of an individual's mind to another individual. Emotive telepathy, also known as remote influence or emotional transfer, is the process of transferring kinesthetic sensations through altered states. Zener cards are marked with five distinctive symbols. When using them, one individual is designated the "sender" and another the "receiver". The sender selects a random card and visualize the symbol on it, while the receiver attempts to determine that symbol using Psi. Statistically, the receiver has a 20% chance of randomly guessing the correct symbol, so to demonstrate telepathy, they must repeatedly score a success rate that is significantly higher than 20%. If not conducted properly, this method can be vulnerable to sensory leakage and card counting. J. B. Rhine's experiments with Zener cards were discredited due to the discovery that sensory leakage or cheating could account for all his results such as the subject being able to read the symbols from the back of the cards and being able to see and hear the experimenter to note subtle clues. Once Rhine took precautions in response to criticisms of his methods, he was unable to find any high-scoring subjects. Due to the methodological problems, parapsychologists no longer utilize card-guessing studies. Parapsychological studies into dream telepathy were carried out at the Maimonides Medical Center in Brooklyn, New York led by Stanley Krippner and Montague Ullman. They concluded the results from some of their experiments supported dream telepathy. However, the results have not been independently replicated. The psychologist James Alcock has written the dream telepathy experiments at Maimonides have failed to provide evidence for telepathy and "lack of replication is rampant." The picture target experiments that were conducted by Krippner and Ullman were criticized by C. E. M. Hansel. According to Hansel there were weaknesses in the design of the experiments in the way in which the agent became aware of their target picture. Only the agent should have known the target and no other person until the judging of targets had been completed, however, an experimenter was with the agent when the target envelope was opened. Hansel also wrote there had been poor controls in the experiment as the main experimenter could communicate with the subject. When using the Ganzfeld experiment to test for telepathy, one individual is designated as the receiver and is placed inside a controlled environment where they are deprived of sensory input, and another person is designated as the sender and is placed in a separate location. The receiver is then required to receive information from the sender. The nature of the information may vary between experiments. The Ganzfeld experiment studies that were examined by Ray Hyman and Charles Honorton had methodological problems that were well documented. Honorton reported only 36% of the studies used duplicate target sets of pictures to avoid handling cues. Hyman discovered flaws in all of the 42 Ganzfeld experiments and to access each experiment, he devised a set of 12 categories of flaws. Six of these concerned statistical defects, the other six covered procedural flaws such as inadequate documentation, randomization and security as well as possibilities of sensory leakage. Over half of the studies failed to safeguard against sensory leakage and all of the studies contained at least one of the 12 flaws. Because of the flaws, Honorton agreed with Hyman the 42 Ganzfeld studies could not support the claim for the existence of psi. Possibilities of sensory leakage in the Ganzfeld experiments included the receivers hearing what was going on in the sender's room next door as the rooms were not soundproof and the sender's fingerprints to be visible on the target object for the receiver to see. The most suspicious pattern was the fact that the hit rate for a given target increased with the frequency of occurrence of that target in the experiment. The hit rate for the targets that occurred only once was right at the chance expectation of 25%. For targets that appeared twice the hit rate crept up to 28%. For those that occurred three times it was 38%, and for those targets that occurred six or more times, the hit rate was 52%. Each time a videotape is played its quality can degrade. It is plausible then, that when a frequently used clip is the target for a given session, it may be physically distinguishable from the other three decoy clips that are presented to the subject for judging. Surprisingly, the parapsychological community has not taken this finding seriously. They still include the autoganzfeld series in their meta-analyses and treat it as convincing evidence for the reality of psi. Hyman wrote the autoganzfeld experiments were flawed because they did not preclude the possibility of sensory leakage. In 2010, Lance Storm, Patrizio Tressoldi, and Lorenzo Di Risio analyzed 29 ganzfeld studies from 1997 to 2008. Of the 1,498 trials, 483 produced hits, corresponding to a hit rate of 32.2%. This hit rate is statistically significant with p < .001. Participants selected for personality traits and personal characteristics thought to be psi-conducive were found to perform significantly better than unselected participants in the ganzfeld condition. Hyman (2010) published a rebuttal to Storm et al. According to Hyman "reliance on meta-analysis as the sole basis for justifying the claim that an anomaly exists and that the evidence for it is consistent and replicable is fallacious. It distorts what scientists mean by confirmatory evidence." Hyman wrote the ganzfeld studies have not been independently replicated and have failed to produce evidence for telepathy. Storm et al. published a response to Hyman claiming the ganzfeld experimental design has proved to be consistent and reliable but parapsychology is a struggling discipline that has not received much attention so further research on the subject is necessary. Rouder et al. 2013 wrote that critical evaluation of Storm et al. 's meta-analysis reveals no evidence for telepathy, no plausible mechanism and omitted replication failures. A 2016 paper examined questionable research practices in the ganzfeld experiments. Twin telepathy is a belief that has been described as a myth in psychological literature. Psychologists Stephen Hupp and Jeremy Jewell have noted that all experiments on the subject have failed to provide any scientific evidence for telepathy between twins. According to Hupp and Jewell there are various behavioral and genetic factors that contribute to the twin telepathy myth "identical twins typically spend a lot of time together and are usually exposed to very similar environments. Thus, it's not at all surprising that they act in similar ways and are adept at anticipating and forecasting each other's reactions to events." A 1993 study by Susan Blackmore investigated the claims of twin telepathy. In an experiment with six sets of twins one subject would act as the sender and the other the receiver. The sender was given selected objects, photographs or numbers and would attempt to psychically send the information to the receiver. The results from the experiment were negative, no evidence of telepathy was observed. The skeptical investigator Benjamin Radford has noted that "Despite decades of research trying to prove telepathy, there is no credible scientific evidence that psychic powers exist, either in the general population or among twins specifically. The idea that two people who shared their mother's womb — or even who share the same DNA — have a mysterious mental connection is an intriguing one not borne out in science." A variety of tests have been performed to demonstrate telepathy, but there is no scientific evidence that the power exists. A panel commissioned by the United States National Research Council to study paranormal claims concluded that "despite a 130-year record of scientific research on such matters, our committee could find no scientific justification for the existence of phenomena such as extrasensory perception, mental telepathy or 'mind over matter' exercises... Evaluation of a large body of the best available evidence simply does not support the contention that these phenomena exist." The scientific community considers parapsychology a pseudoscience. There is no known mechanism for telepathy. Philosopher and physicist Mario Bunge has written that telepathy would contradict laws of science and the claim that "signals can be transmitted across space without fading with distance is inconsistent with physics". Physicist John Taylor has written the experiments that have been claimed by parapsychologists to support evidence for the existence of telepathy are based on the use of shaky statistical analysis and poor design, and attempts to duplicate such experiments by the scientific community have failed. Taylor also wrote the arguments used by parapsychologists for the feasibility of such phenomena are based on distortions of theoretical physics as well as "complete ignorance" of relevant areas of physics. Psychologist Stuart Sutherland wrote that cases of telepathy can be explained by people underestimating the probability of coincidences. According to Sutherland, "most stories about this phenomenon concern people who are close to one another - husband and wife or brother and sister. Since such people have much in common, it is highly probable that they will sometimes think the same thought at the same time." Graham Reed, a specialist in anomalistic psychology, noted that experiments into telepathy often involve the subject relaxing and reporting the 'messages' to consist of colored geometric shapes. Reed wrote that these are a common type of hypnagogic image and not evidence for telepathic communication. Outside of parapsychology, telepathy is generally explained as the result of fraud, self-delusion and/or self-deception and not as a paranormal power. Psychological research has also revealed other explanations such as confirmation bias, expectancy bias, sensory leakage, subjective validation and wishful thinking. Virtually all of the instances of more popular psychic phenomena, such as mediumship, can be attributed to non-paranormal techniques such as cold reading. Magicians such as Ian Rowland and Derren Brown have demonstrated techniques and results similar to those of popular psychics, without paranormal means. They have identified, described, and developed psychological techniques of cold reading and hot reading. The notion of telepathy is not dissimilar to two clinical concepts: delusions of thought insertion/removal. This similarity might explain how an individual might come to the conclusion that they were experiencing telepathy. Thought insertion/removal is a symptom of psychosis, particularly of schizophrenia, schizoaffective disorder or substance-induced psychosis. Psychiatric patients who experience this symptom falsely believe that some of their thoughts are not their own and that others (e.g., other people, aliens, demons or fallen angels, or conspiring intelligence agencies) are putting thoughts into their minds (thought insertion). Some patients feel as if thoughts are being taken out of their minds or deleted (thought removal). Along with other symptoms of psychosis, delusions of thought insertion may be reduced by antipsychotic medication. Psychiatrists and clinical psychologists believe and empirical findings support the idea that people with schizotypy and schizotypal personality disorder are particularly likely to believe in telepathy. See also: the categories Fiction about telepathy and Fictional telepaths. Telepathy is a common theme in modern fiction and science fiction, with many extraterrestrials (such as the Protoss in the StarCraft franchise), superheroes, and supervillains having telepathic ability. Extended Mind, the concept that things frequently used by the mind become part of it. Ishin-denshin, traditional Japanese concept of unspoken mutual understanding, sometimes translated as "telepathy". Lady Wonder, a horse that appeared to answer questions. Microwave auditory effect for hearing and subvocal recognition for speaking. Quantum pseudo-telepathy, a phenomenon in quantum game theory. ^ Telepathy. CollinsDictionary.com. Collins English Dictionary - Complete & Unabridged 11th Edition. Retrieved December 06, 2012. ^ Following the model of sympathy and empathy. ^ a b Carroll, Robert Todd (2005). "The Skeptic's Dictionary; Telepathy". Skepdic.com. Retrieved 2006-09-13. ^ a b c d Glossary of Parapsychological terms - Telepathy Archived 2006-09-27 at the Wayback Machine — Parapsychological Association. Retrieved December 19, 2006. ^ a b Felix Planer. (1980). Superstition. Cassell. p. 218. ISBN 0-304-30691-6 "Many experiments have attempted to bring scientific methods to bear on the investigation of the subject. Their results based on literally millions of tests, have made it abundantly clear that there exists no such phenomenon as telepathy, and that the seemingly successful scores have relied either on illusion, or on deception." ^ a b Jan Dalkvist (1994). Telepathic Group Communication of Emotions as a Function of Belief in Telepathy. Dept. of Psychology, Stockholm University. Retrieved 5 October 2011. Within the scientific community however, the claim that psi anomalies exist or may exist is in general regarded with skepticism. One reason for this difference between the scientist and the non scientist is that the former relies on his own experiences and anecdotal reports of psi phenomena, whereas the scientist at least officially requires replicable results from well controlled experiments to believe in such phenomena - results which according to the prevailing view among scientists, do not exist. ^ Spencer Rathus. (2011). Psychology: Concepts and Connections. Cengage Learning. p. 143. ISBN 978-1111344856 "There is no adequate scientific evidence that people can read other people's minds. Research has not identified one single indisputable telepath or clairvoyant." ^ Dingwall, Eric. (1985). The Need for Responsibility in Parapsychology: My Sixty Years in Psychical Research. In A Skeptic's Handbook of Parapsychology. Prometheus Books. pp. 161-174. ISBN 0-87975-300-5 "Let me give an example, such as thought-transference, which is as good as any. When the British SPR was founded, the public was led to believe that at least a scientific survey was to be made, and I have no doubt that even some of those closely associated with the early days thought so too. But Myers, among others, had no such intention and cherished no such illusion. He knew that the primary aim of the Society was not objective experimentation but the establishment of telepathy. (...) What was wanted was proof that mind could communicate with mind apart from the normal avenues, for if mental sharing was a fact when the persons concerned were incarnate it could plausibly be suggested that the same mechanism might operate when death had occurred. Thus the supernatural might be proved by science, and psychical research might become, in the words of Sir William Barrett, a handmaid to religion." ^ Couttie, Bob. (1988). Forbidden Knowledge: The Paranormal Paradox. Lutterworth Press. p. 129. ISBN 978-0-7188-2686-4 "In the early 1900s Gilbert Murray, who died in 1957, carried out some experiments in ESP in which he was in one room and the sender in a hallway, often with an open door between them. These experiments were successful. Most of the time the target was spoken aloud. When it was not, there were negative results. This is suggestive of a hyperacuity of hearing, especially since on at least one occasion Murray complained about noise coming from a milk-cart in the street next to the one in which the experiments were being carried out." ^ Hannan, Caryn. (2008 edition). Connecticut Biographical Dictionary. State History Publications. p. 526. ISBN 1-878592-72-6 "On his return to Harvard in 1916, one of his first enterprises was an investigation of telepathy in the psychology laboratory, which gave negative results." ^ a b Martin Gardner, Fads & Fallacies in the Name of Science (Courier Dover Publications, 1957) Chapter 25: ESP and PK, available online; accessed July 25, 2010. ^ Steiner, Lee R. (1942). Review of Thoughts Through Space. American Journal of Orthopsychiatry 12 (4): 745. ^ Taylor, J. G; Balanovski, E. (1979). "Is There Any Scientific Explanation of the Paranormal?". Nature. 279 (5714): 631–633. Bibcode:1979Natur.279..631T. doi:10.1038/279631a0. ^ Schienle, A.; Vaitl, D.; Stark, R. (1996). "Covariation bias and paranormal belief". Psychological Reports. 78 (1): 291–305. doi:10.2466/pr0.1996.78.1.291. PMID 8839320. ^ Rudski, J. M. (2002). "Hindsight and confirmation biases in an exercise in telepathy". Psychological Reports. 91 (3): 899–906. doi:10.2466/pr0.2002.91.3.899. PMID 12530740. ^ Glossary of Parapsychological terms - ESP Archived 2011-01-11 at the Wayback Machine, Parapsychological Association. Retrieved December 19, 2006. ^ a b Carroll, Robert (2006-02-17). "Zener ESP Cards". The Skeptic's Dictionary. Retrieved 2006-07-18. ^ James Alcock. (2011). Back from the Future: Parapsychology and the Bem Affair. Skeptical Inquirer. "Despite Rhine’s confidence that he had established the reality of extrasensory perception, he had not done so. Methodological problems with his experiments eventually came to light, and as a result parapsychologists no longer run card-guessing studies and rarely even refer to Rhine’s work." ^ James, Alcock (2003). "Give the Null Hypothesis a Chance: Reasons to Remain Doubtful about the Existence of Psi". Journal of Consciousness Studies. 10: 29–50. ^ Robert Todd Carroll. (2014). "Ganzfeld" in The Skeptic's Dictionary. ^ Hyman, R. (2010). Meta-analysis that conceals more than it reveals: Comment on Storm et al Archived 2013-11-03 at the Wayback Machine. (2010). Psychological Bulletin, 136. pp. 486-490. ^ Storm, L.; Tressoldi, P. E.; Di Risio, L. (2010). "A meta-analysis with nothing to hide: Reply to Hyman (2010)". Psychological Bulletin. 136 (4): 491–494. doi:10.1037/a0019840. PMID 20565166. ^ Bierman, DJ; Spottiswoode, JP; Bijl, A (2016), "Testing for Questionable Research Practices in a Meta-Analysis: An Example from Experimental Parapsychology", PLoS ONE, 11 (5): 1, Bibcode:2016PLoSO..1153049B, doi:10.1371/journal.pone.0153049, PMC 4856278, PMID 27144889, We consider [questionable research practices] in the context of a meta-analysis database of Ganzfeld–telepathy experiments from the field of experimental parapsychology. The Ganzfeld database is particularly suitable for this study, because the parapsychological phenomenon it investigates is widely believed to be nonexistent. ^ "The Riddle of Twin Telepathy". Retrieved 2014-06-06. ^ Terence Hines. (2003). Pseudoscience and the Paranormal. Prometheus Books. p. 144. ISBN 978-1573929790 "It is important to realize that, in one hundred years of parapsychological investigations, there has never been a single adequate demonstration of the reality of any psi phenomenon." ^ Michael W. Friedlander. (1998). At the Fringes of Science. Westview Press. p. 119. ISBN 0-8133-2200-6 "Parapsychology has failed to gain general scientific acceptance even for its improved methods and claimed successes, and it is still treated with a lopsided ambivalence among the scientific community. Most scientists write it off as pseudoscience unworthy of their time." ^ Massimo Pigliucci, Maarten Boudry. (2013). Philosophy of Pseudoscience: Reconsidering the Demarcation Problem. University Of Chicago Press p. 158. ISBN 978-0226051963 "Many observers refer to the field as a "pseudoscience". When mainstream scientists say that the field of parapsychology is not scientific, they mean that no satisfying naturalistic cause-and-effect explanation for these supposed effects has yet been proposed and that the field's experiments cannot be consistently replicated." ^ John Taylor. (1980). Science and the Supernatural: An Investigation of Paranormal Phenomena Including Psychic Healing, Clairvoyance, Telepathy, and Precognition by a Distinguished Physicist and Mathematician. Temple Smith. p. 84. ISBN 0-85117-191-5. ^ Skepdic.com on ESP. Retrieved February 22, 2007. ^ Andrew Gumley, Matthias Schwannauer. (2006). Staying Well After Psychosis: A Cognitive Interpersonal Approach to Recovery and Relapse Prevention. Wiley. p. 187. ISBN 978-0470021859 "Schizotypy refers to a normal personality construct characterised by an enduring tendency to experience attenuated forms of hallucinatory (e.g. hearing one's own thoughts) and delusional experiences (e.g. beliefs in telepathy)." ^ Mary Townsend. (2013). Essentials of Psychiatric Mental Health Nursing: Concepts of Care in Evidence-Based Practice. F. A. Davis Company. p. 613. ISBN 978-0803638761 "Individuals with schizotypal personality disorder are aloof and isolated and behave in a bland and apathetic manner. Magical thinking, ideas of reference, illusions, and depersonalization are part of their everybody world. Examples include superstitiousness, belief in clairvoyance, telepathy, or "six sense;" and beliefs that "others can feel my feelings." Whately Carington. (1945). Telepathy: An Outline of its Facts, Theory, and Implications. Methuen & Co.
Bergen Evans. (1954). The Spoor of Spooks: And Other Nonsense. Knopf. Walter Mann. (1919). The Follies and Frauds of Spiritualism. Rationalist Association. London: Watts & Co. Chapter XII. pp. 131–191. Kenneth Wilcox Payne. (1928). Is Telepathy All Bunk? Popular Science. This page was last edited on 1 April 2019, at 23:28 (UTC).